The Bulls made a blockbuster trade on draft night send Jimmy Butler and their 16th overall pick to the Minnesota Timberwolves for the 7th overall pick along with Kris Dunn and Zach LaVine. 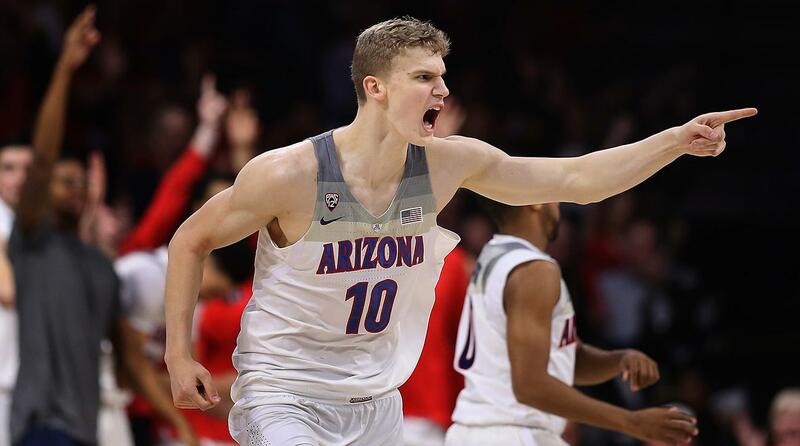 With the 7th pick the Timberwolves selected PF Lauri Markkanen from Arizona and traded his rights to the Bulls. This left many wondering what directions the Bulls are heading, but for the time being it looks like they have at least committed to becoming a younger team. Now, Markkanen only spent one year at Arizona and has less then a handful of summer league games, but what are the Bulls really getting from their new rookie PF? The 7 footer from Finland spent one year in the PAC-12, not a basketball powerhouse by any means but still had decent stats over his 37 games at Arizona. In those games, he averaged 15.6 PPG, 7.2 RPG while shooting a cool 49.2%. What is attractive about Markkanen for the Bulls is his three point shooting, 42.3% from beyond the arc last season. Bulls fans know all to well how badly the team was in that category this past season. As a pick-and-pop big man for the Bulls, he brings a semi Dirk Nowitzki feel from the outside range for the team. On the down side, Markkanen lacks a superior post-game for someone his size. In the NBA is one trick spin move to his right side to finish with the left hand will get picked up on quickly and shut down. If the Bulls are going to make him into a core piece he is going to have to greatly improved this aspect of this game. In some of his college highlights, he had have a few good dribble-drives for layups or down to a mid-range jumper, but overall it was mostly him shooting the three. Him living and dying by the three is going to be tough in the NBA. Overall, the Bulls are getting a solid outside shooter for a 7 footer who can put the ball on the floor and drive, but who needs to improve his post game. If he can work in Summer League and over the season to build this the Bulls could have gotten a steal in the draft. I believe Markkanen can have a solid rookie season but will lack a veteran big man presence to help elevate his game to the next level. If he can put up around 12-15 PPG and grab 6-8 RPG games this coming season it will be a win for the Bulls.